The Northwest African American Museum (NAAM) will host a book talk and book signing featuring Valerie Jarrett, the Senior Advisor to President Barack Obama on Monday, April 15, 2019 at 7 pm PST. 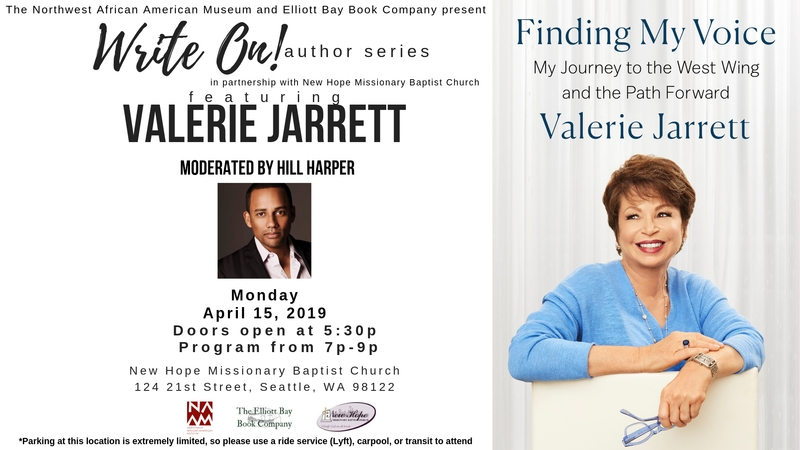 In a conversation moderated by actor and author Hill Harper, Jarrett will discuss her newly-published memoir, Finding My Voice. This event is free and open to the public, hosted in partnership with Elliott Bay Book Company and Seattle’s New Hope Missionary Baptist Church. It will be held at New Hope Missionary Baptist Church, 124 21st Avenue, Seattle, WA 98122.